Could you have a marijuana allergy? Is it possible to be allergic to weed or pot? Whether you are new to medicinal marijuana (or legal marijuana) or have used it in the past without a problem, it is quite possible to have a marijuana allergy. Let's take a look at the symptoms of a weed allergy, allergy to edibles, the problems associated with diagnosing the allergy, and what you can do if you have one. Many types of pollen from plants, such as ragweed, flowers, and trees, can cause allergic reactions in some people, and marijuana is no different. Marijuana flowers produce pollen that can prove problematic for sensitive individuals, and it can affect the skin or respiratory system. It is also possible to have an allergic reaction to eating marijuana seeds or marijuana edibles. Marijuana edibles have become more available for medicinal use as well as places where they are legal for all users. While it is rare, there are reported cases of anaphylaxis reactions with eating hemp seeds. The symptoms can include ocular symptoms, rash or hives, swelling, shortness of breath, and difficulty speaking. You may also have an allergy similar to other food allergies when ingesting marijuana-containing products, including rashes and swelling. It may be that your body is allergic to other foods and is cross-reacting to marijuana, and vice versa. Allergies to tomatoes, peaches, bananas, citrus, grapefruit, eggplant, almonds, and chestnuts have been seen to cross-react with marijuana in various studies. 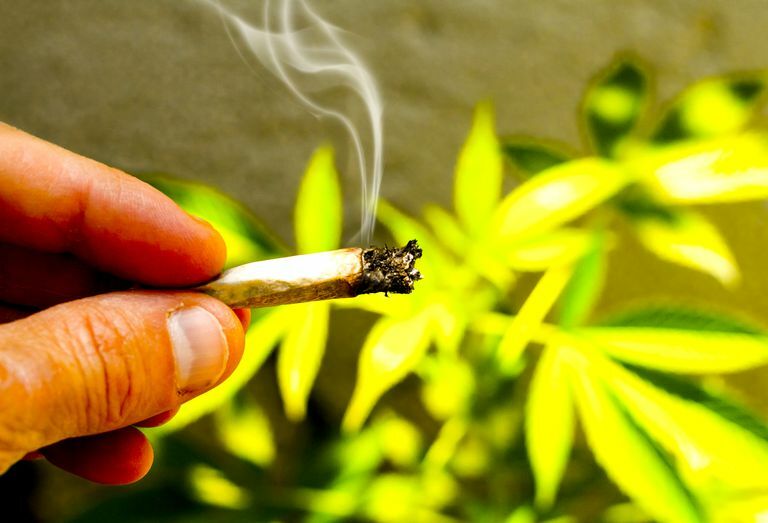 A confounding factor in evaluating possible allergies to weed is that it appears that marijuana smoking may sensitize people (stimulate them to develop an allergy to) other antigens. In one study, marijuana use was associated with the development of allergies to mold, dust mites, plants, and cat dander. This could mean that a new onset of an allergy is related to sensitization to another allergen, rather than an allergy to weed itself. Skin testing is the usual way an allergy specialist can pinpoint a marijuana allergy. However, the tests aren't standardized and there are legal limitations for getting the extracts needed to perform the test. A blood serum test is only available from specialized laboratories. If these tests aren't available, your doctor would need to make the diagnosis based on your report of your exposure and symptoms. If you suspect you have developed a marijuana allergy, it is generally best to avoid the plant altogether. This can be difficult if you are having an airborne exposure that you have no control over. If you have been using marijuana for medicinal purposes, you might want to speak with your physician and seek professional medical advice. He or she might be able to suggest alternative treatment options for your condition and symptoms that won't cause allergic reactions. If you are unable to avoid marijuana exposure, discuss with your doctor whether to use antihistamines or decongestants for symptoms such as a runny nose and red eyes. With symptoms of an anaphylactic type of reaction, seek immediate emergency medical care. These reactions can be life-threatening and need to be treated fast. You may need to carry an Epi-pen in the future if you have this type of threatening reaction. Decuyper, I., Van Gasse, A., Cop, N. et al. Cannabis Sativa Allergy: Looking Through the Fog. Allergy. 2017. 72(2):201-206. Min, J., and K. Min. Marijuana Use is Associated With Hypersensitivity to Multiple Allergens in US Adults. Drug and Alcohol Dependency. 201. 182:74-77. Ocampo, T., and T. Rans. Cannabis sativa: The unconventional “weed” allergen. Annals of Allergy, Asthma & Immunology. 2015;114(3):187–192. doi:10.1016/j.anai.2015.01.004. Silvers, W., and T. Bernard. Spectrum and Prevalence of Reactions to Marijuana in a Colorado Allergy Practice. Annals of Allergy, Asthma, and Immunology. 2017. 119(6):570-571.